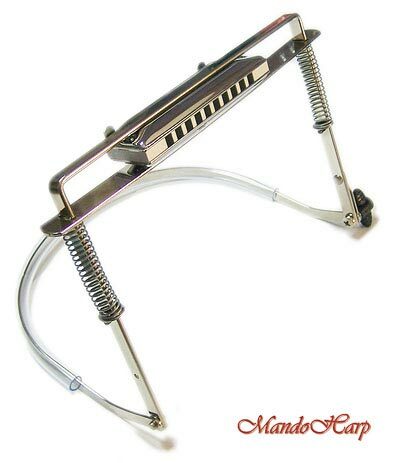 Genuine Hohner HH154 Harmonica holder/harness suitable for diatonic, chromatic, octave and other harmonicas from Hohner. 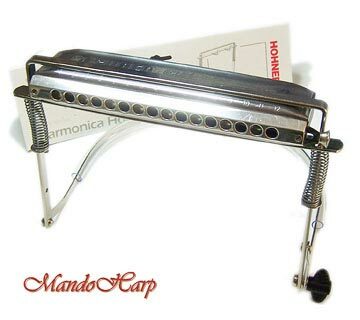 The pictures show the holder in use with a Hohner Super 64 and a Hohner Meisterklasse for demonstration purposes. 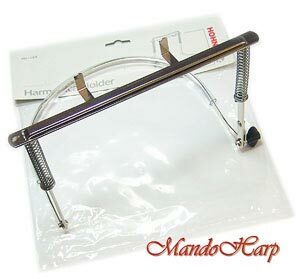 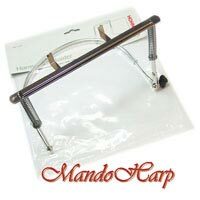 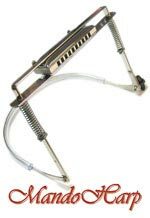 The clamp grips the harmonica and the support goes round your neck holding the harmonica in front of your mouth, It is fully adjustable with the wingnuts so you can position it correctly. 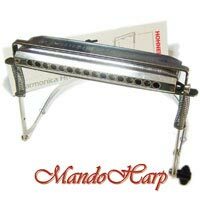 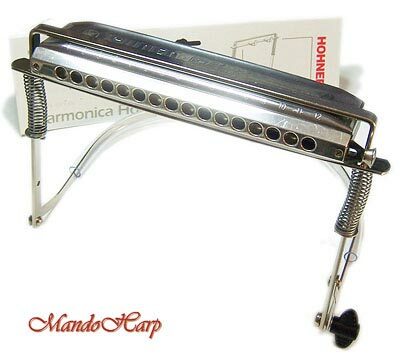 Suits all diatonic, chromatic, octave, tremolo and other harmonicas up to 190mm in width. 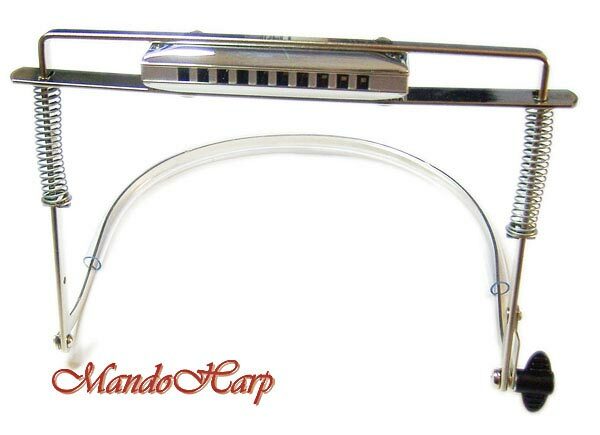 Small adjustable arms allow support for the rear of the harmonica. 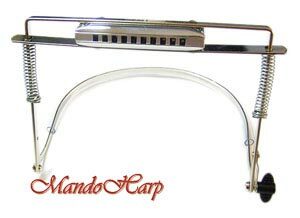 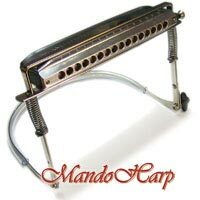 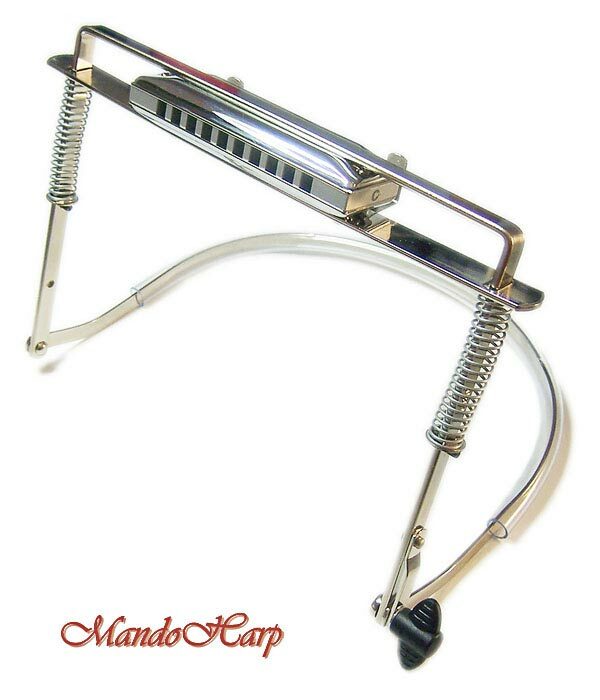 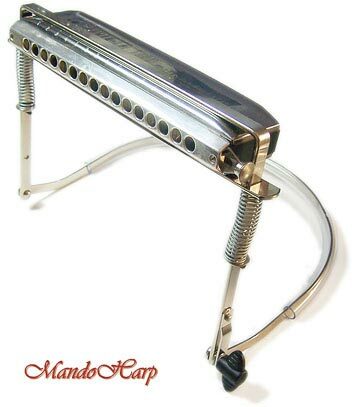 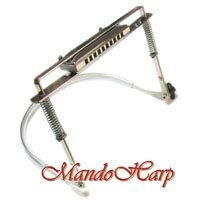 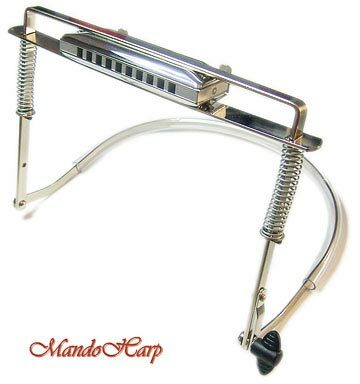 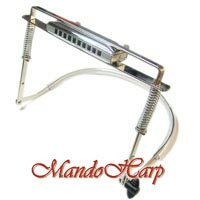 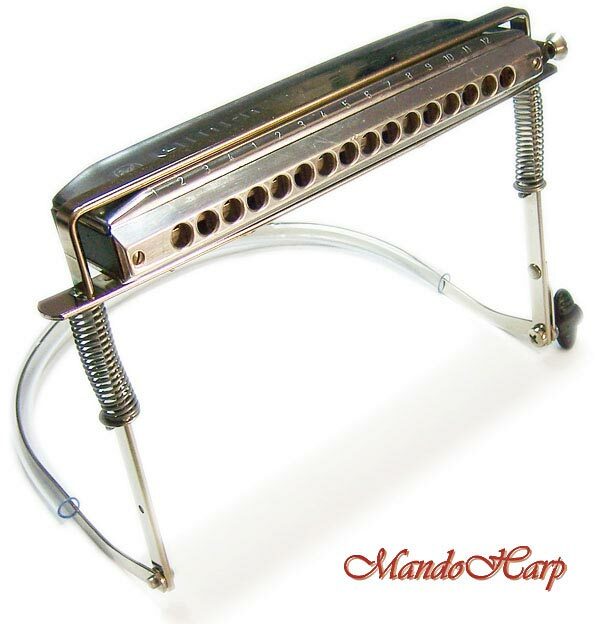 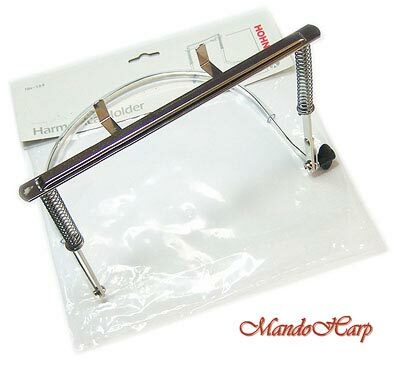 This is great for buskers or any performer that wants to play harmonica while they are playing guitar. 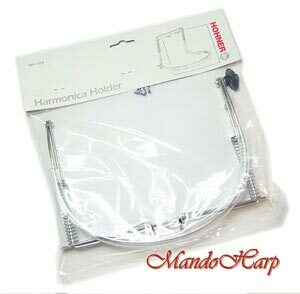 "The original Hohner harmonica holder offers perfect solutions when playing harmonica together with guitar or other instruments. 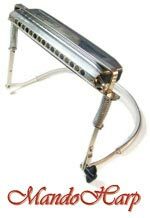 Its construction assures a good and secured positioning of the harmonica. 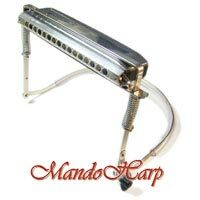 Fits all harmonicas."